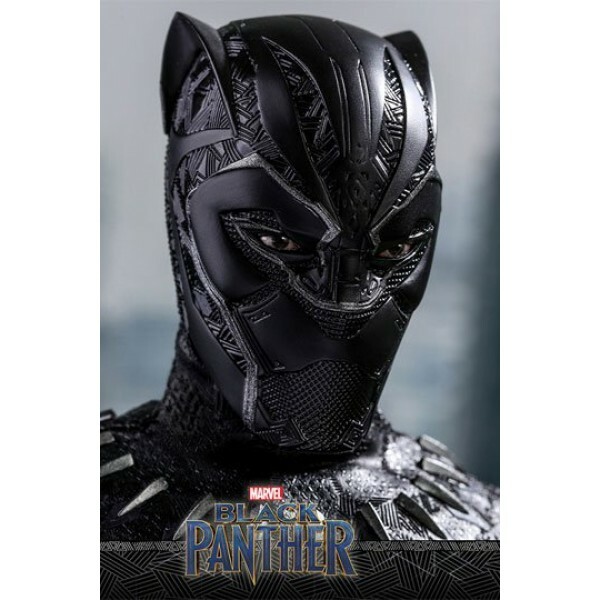 Marvel Studios is continuing to expand the Marvel Cinematic Universe by bringing some more exciting new characters to the screen. 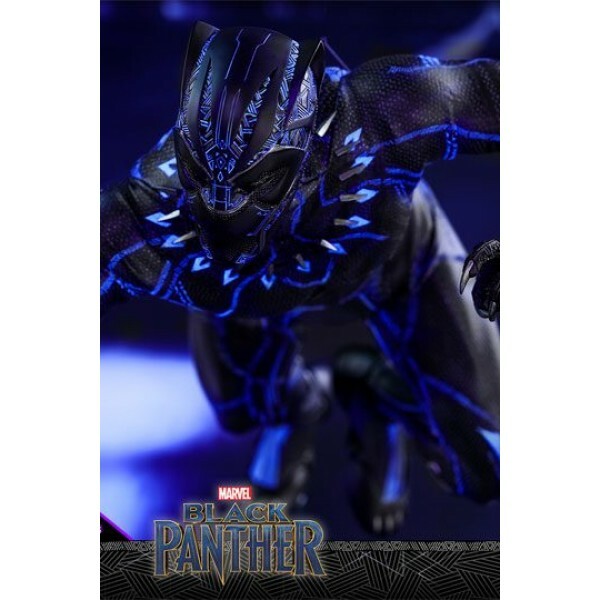 The young king T'Challa a.k.a. 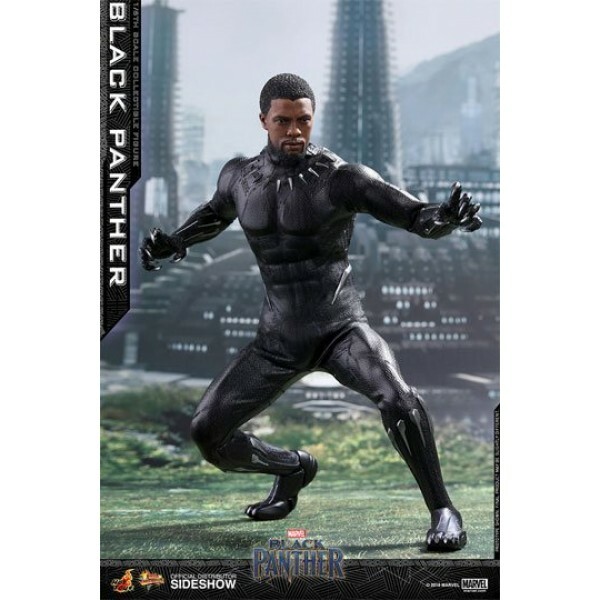 Black Panther who made his debut in Captain America: Civil War, this time must secure the throne and save Wakanda from enemies who intend to bring the downfall of the reclusive and technologically advanced African nation. 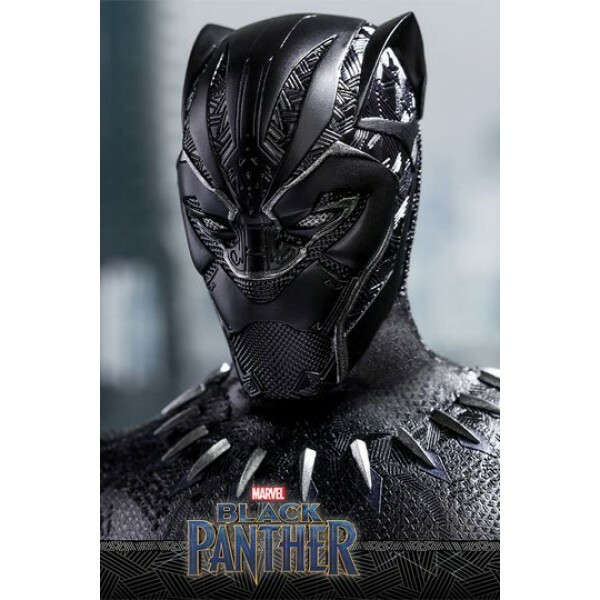 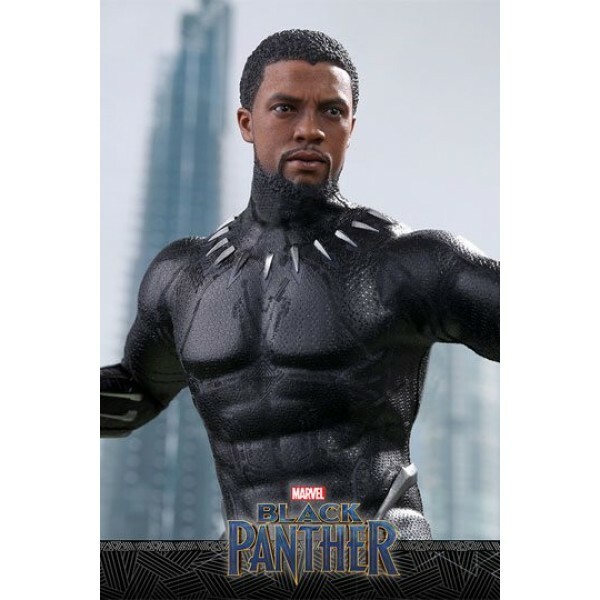 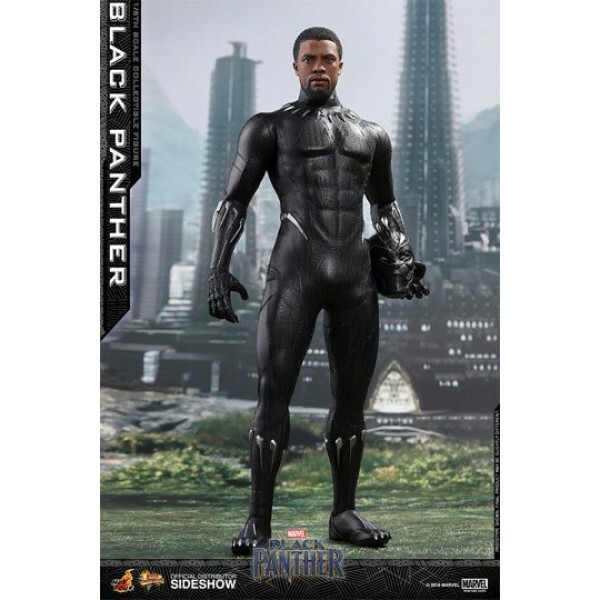 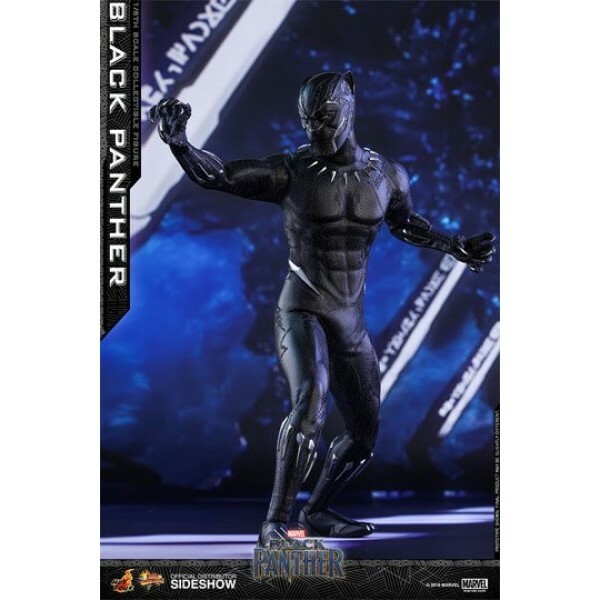 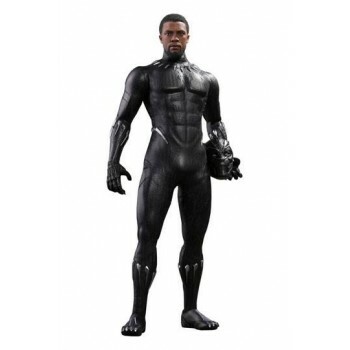 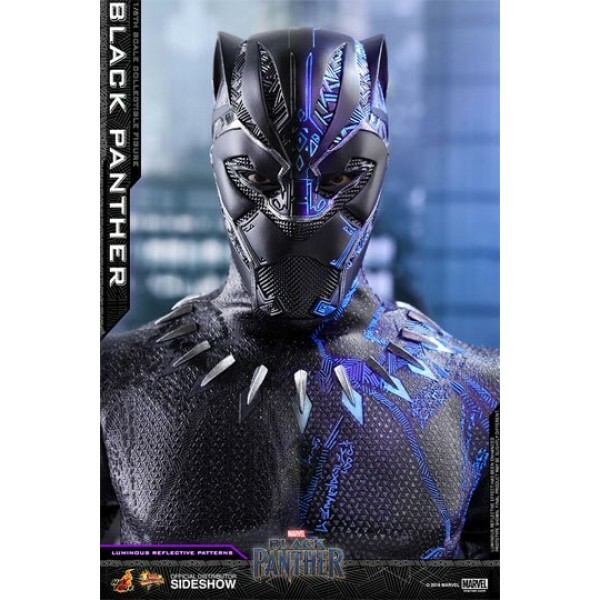 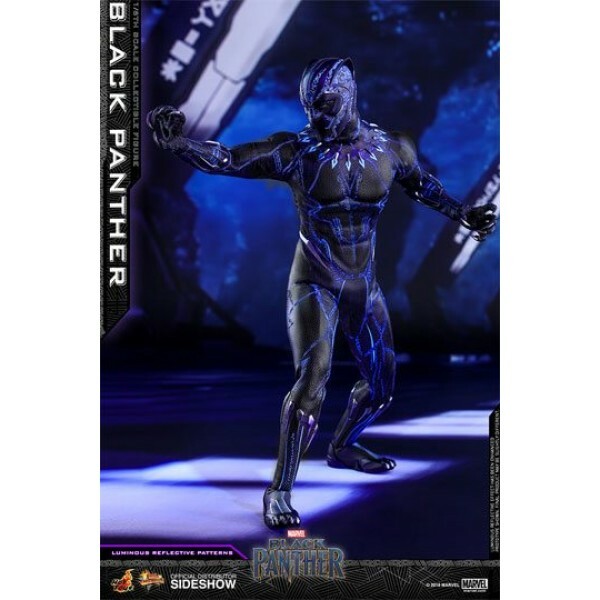 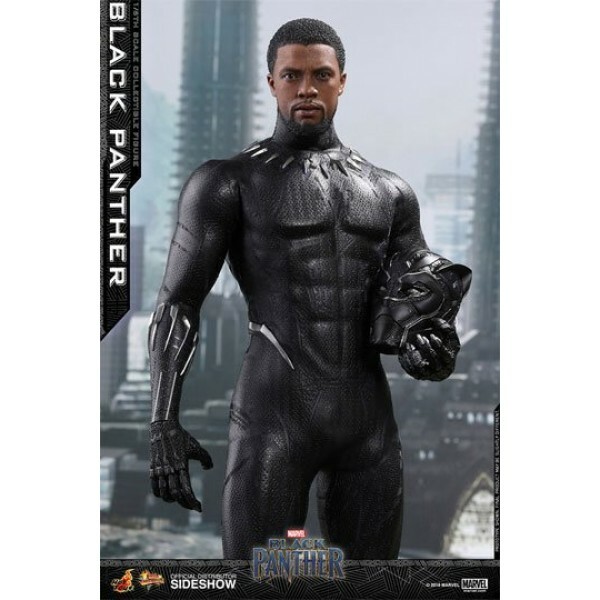 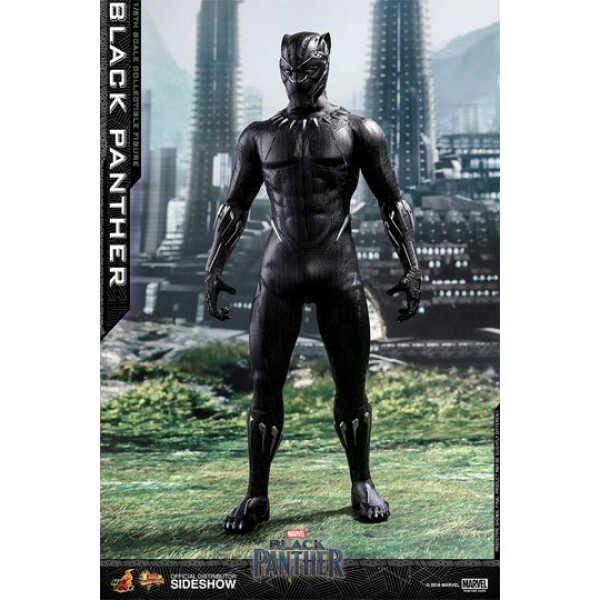 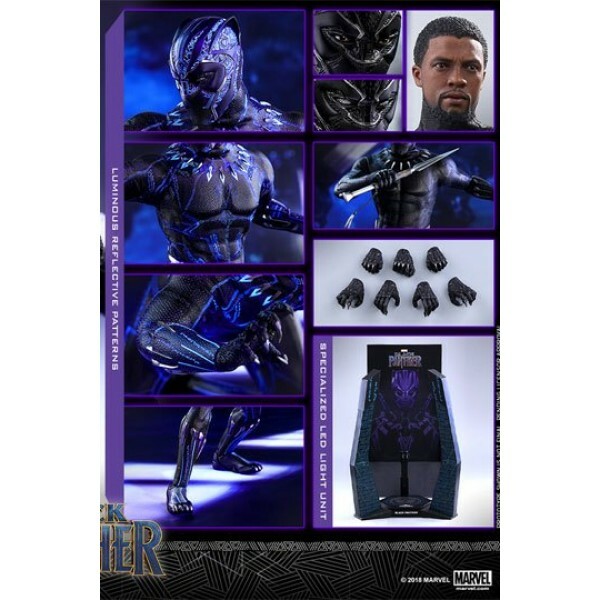 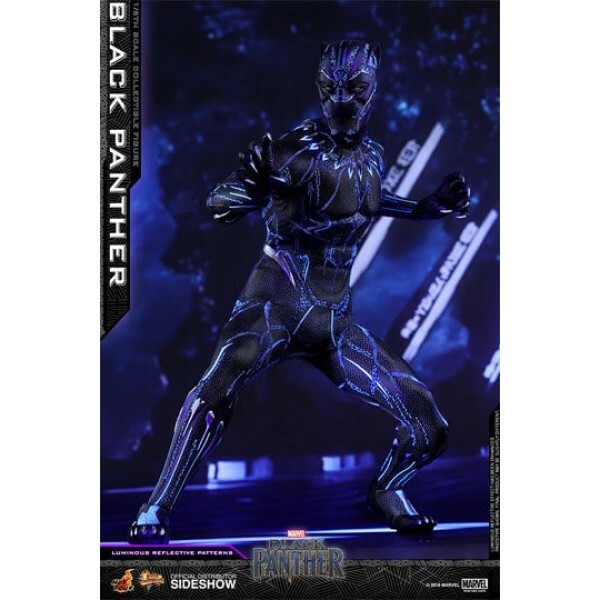 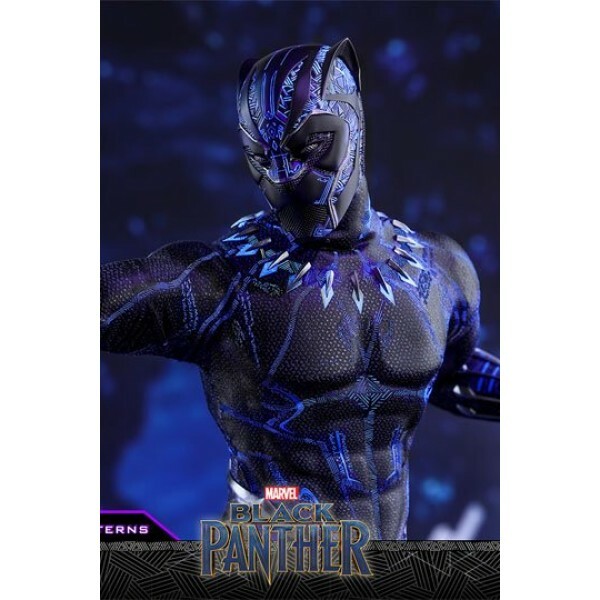 Finely crafted based on the appearance of Chadwick Boseman as Black Panther in the movie of the same title, the movie-accurate collectible figure features two interchangeable heads which include a newly developed head sculpt with stunning likeness and an all-new masked head with two interchangeable eye pieces, a newly developed body which can naturally portray Black Panther's muscular body, a meticulously tailored new Black Panther suit with fine details and the spectacular feature of purple patterns appearing under specialized LED light, a character backdrop and a movie themed hexagonal figure stand with two specialized LED light units.